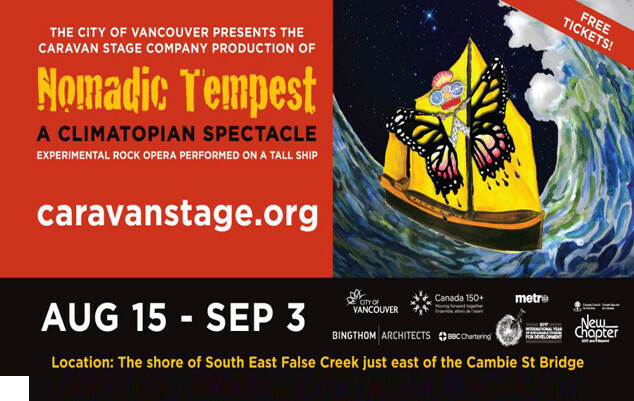 The City of Vancouver presents the Caravan Stage Company Production of Nomadic Tempest, an experimental rock opera performed on a tall ship. NOMADIC TEMPEST is a mythical saga of a band of monarch butterflies; forced to migrate due to climate-change. The butterflies serve as a metaphor for today’s Climate Refugees. The Monarchs are from these four global regions: Salish Sea, Syria, China and Mexico. This is a FREE event and General Admission seating is limited, but you will still need to order tickets through Eventbrite to attend. 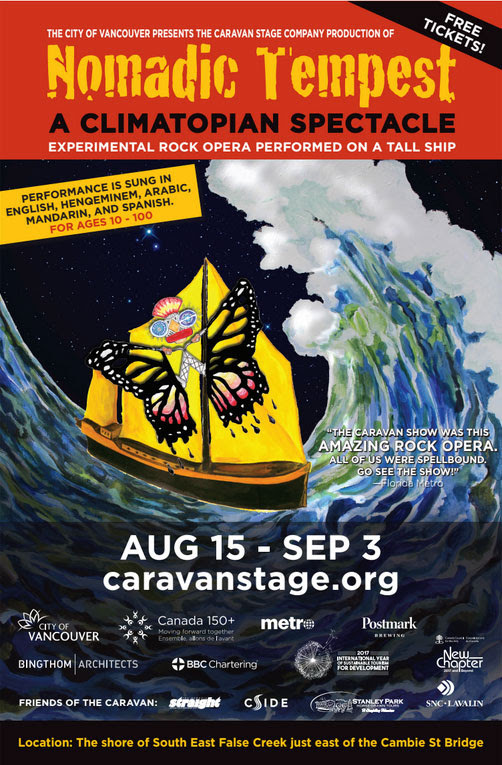 See website at www.caravanstage.org for more info.